KC Landscape and Irrigation is the premier provider of commercial landscaping services and design for companies in the Dallas – Fort Worth area in Texas. With a highly experienced staff of expert lawn technicians, you can trust KC with all your planting, yard cleaning and lawn installation needs. We strive to reflect the interests and needs of our clients for every job. 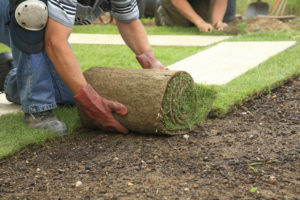 What separates KC from other landscapers is our extensive knowledge of the industry. KC’s long history in the commercial landscaping industry and our qualified landscapers is why our customers rely on us time and time again for reliable and expert services. Whether you are the owner of a multi-family complex or a business, don’t hesitate to choose KC. We’ll go above and beyond to ensure that your property is well maintained and environmentally sound. For quality landscaping, please contact us through our web form or call us directly at 817-640-0122.